Steven Johnson has taken victory in the final two Paynter Dixon Touring Car Masters series races at Symmons Plains Raceway. The Ford Mustang driver led from start to finish in Race 3, heading home Ryan Hansford (Holden Torana) and John Bowe (Holden Torana) in greasy conditions. A spark plug issue forced Hansford to start from the back of the grid in Race 4, leaving second place on the grid vacant. Adam Bressington (Chevrolet Camaro) claimed third after starting towards the rear, passing Jim Pollicina (Holden Torana) at Turn 6 in the closings stages. Up ahead, Johnson eased home largely unchallenged yielding him the round win, while Bowe crossed the line second. 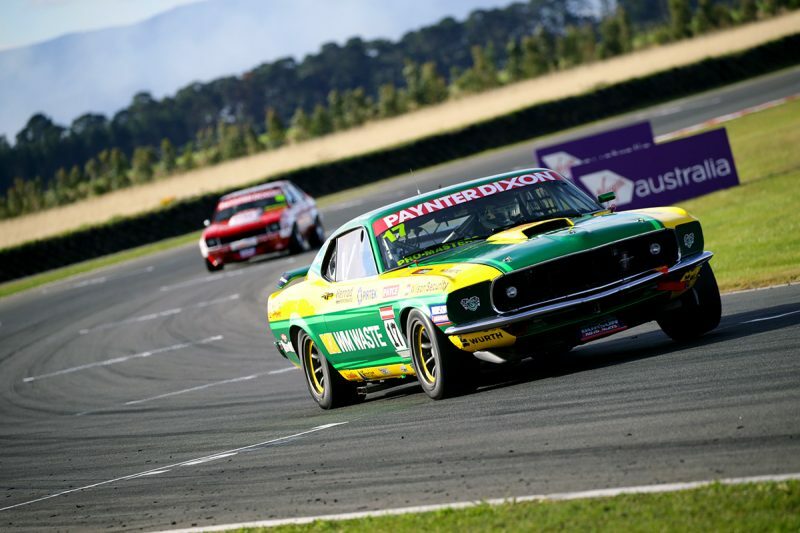 Touring Car Masters now heads to Winton for Round 3 on May 18-20. Ryan Suhle and Cameron Shields have shared the final two race wins of the weekend in the CAMS Jayco Australian Formula 4 Championship. Suhle prevailed in Race 2, crossing the line ahead of Shields and Aaron Love, while an issue forced Jayden Ojeda into an early retirement. In Race 3, Suhle got the jump at the start and led the opening two laps, before Shields returned to the top on Lap 3, holding the lead to the chequered flag. Suhle came home to finish second with Ojeda recovering to complete the podium. 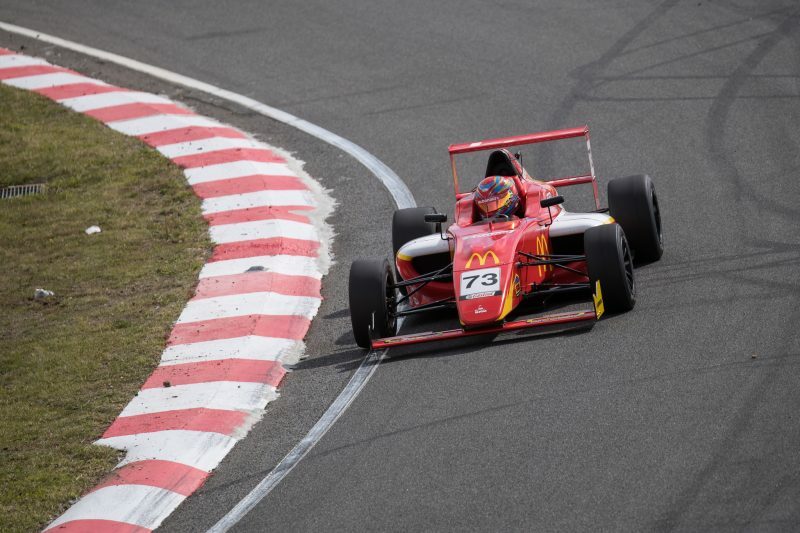 The round win went to Shields, as Formula 4 now heads to Phillip Island on June 1-3. Brad Sherriff won both of the day’s Sports GT races, the Nissan Skyline driver heading home Adam Garwood in Race 3 with Ben Creed in third. Sherriff then took the Race 4 win by just under a second over Brodie Maher while Garwood was third.